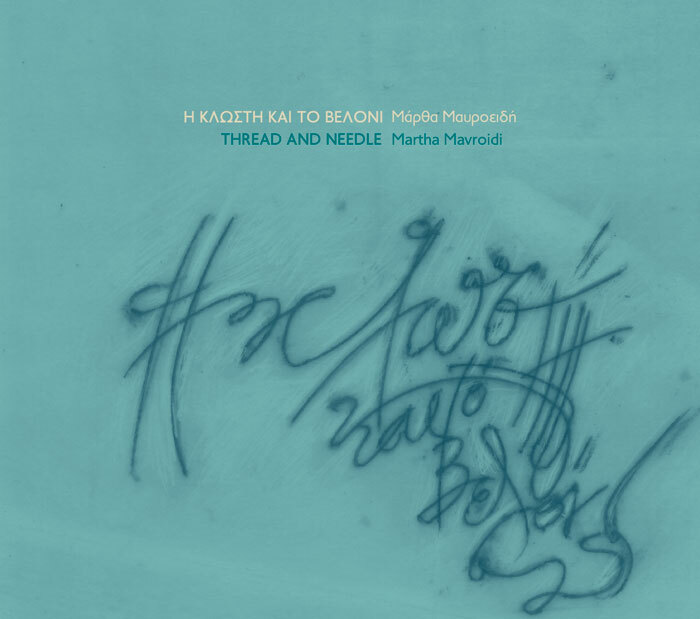 “Thread and Needle” is an a cappella album that pays tribute to the vocal traditions of Greece. Folk songs from different parts of Greece arranged for vocal ensemble, and new a cappella compositions make up a musical mosaic that celebrates human voice and its role in the music of the Balkans. Martha Mavroidi uses her voice to create multiple musical layers, simulating an entire orchestra by means of vocal sounds. In this album she has collaborated with ECM artist Savina Yannatou, the Bulgarian vocal ensemble Eva Quartet, the new Greek a cappella group Yasemi Quartet, the frontman of the 30-year old group Heimerinoi Kolymvites, Argyris Bakirtzis, and Irini Derebei, singer in the projects of Jordi Savall. Apart from the singers, she has invited two outstanding musicians, world-class percussionist Vangelis Karipis (with collaborations with Ara Dinkjian, Theodosii Spassov and Omar Faruk Tekbilek) and extraordinary qanun player Tasos Poulios, asking them to use their voice as an instrument, and “translate” their musical experience of their respective instruments onto the voice. In addition to professional musicians, the album features author Gabriel Pentzikis reciting a text by his father Nicos Pentzikis, one of Greece’s most mystical authors, a choir of amateur singers, and a baby experimenting with his voice. The album reads like a tale of two characters: a child playing with her voice, and a professional musician “playing” the voice. Released by Violins Productions 2017.